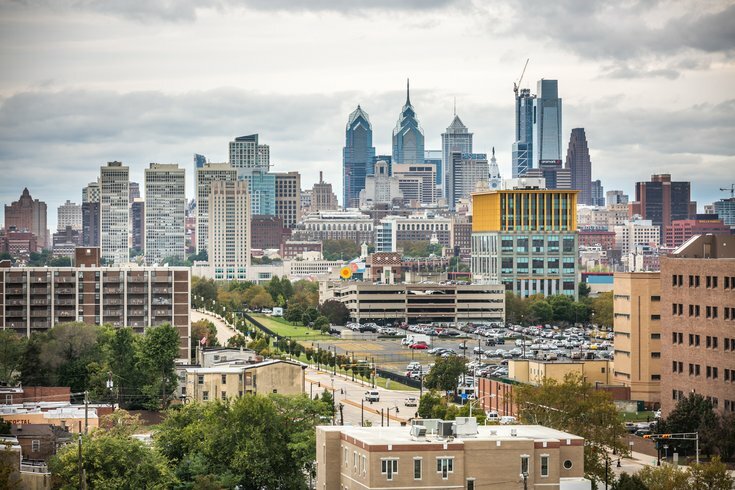 The Philadelphia skyline and downtown Camden, NJ, Oct. 16, 2017. Reflecting on the stories I’ve covered in 2017, two themes stand out – those of both looking back, and projecting forward. 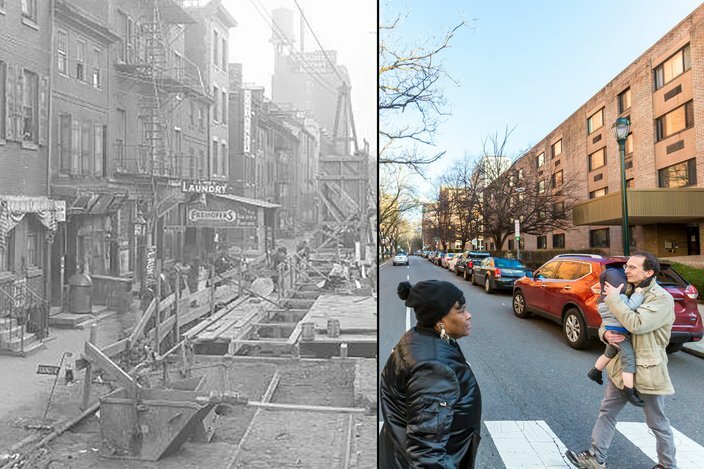 From a series of "Then and Now” projects – where I rephotographed historic images of Philadelphia to show the extent this city has changed – to the discovery of a cemetery dating back to the 1700’s, thought to have been previously relocated until dozens of coffins were unearthed at a construction site, 2017 has been abundant with history. This year was also spent looking towards the future of medicine, science and the arts amidst a politically divisive climate in which many in this city felt threatened. 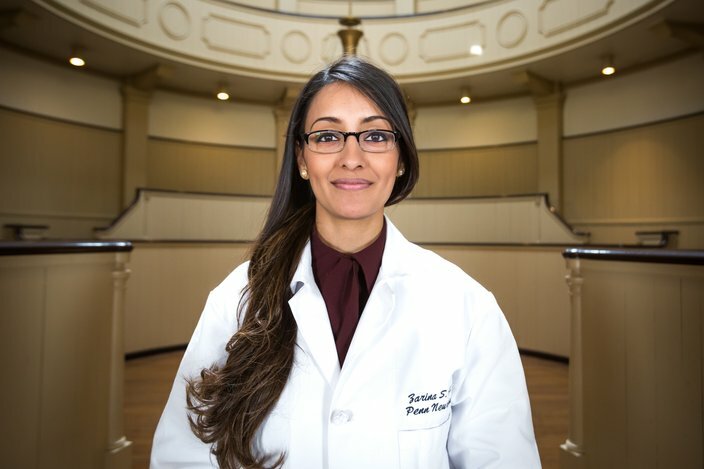 I was able to photograph Pennsylvania Hospital's first female neurosurgeon in the nation’s oldest surgical amphitheater, collaborated on a story of a local company working towards 3D-printing human organs, and witnessed first-hand the emotions that were behind the countless demonstrations of people standing up for their First Amendment rights in the streets. This was a one rollercoaster of a year. 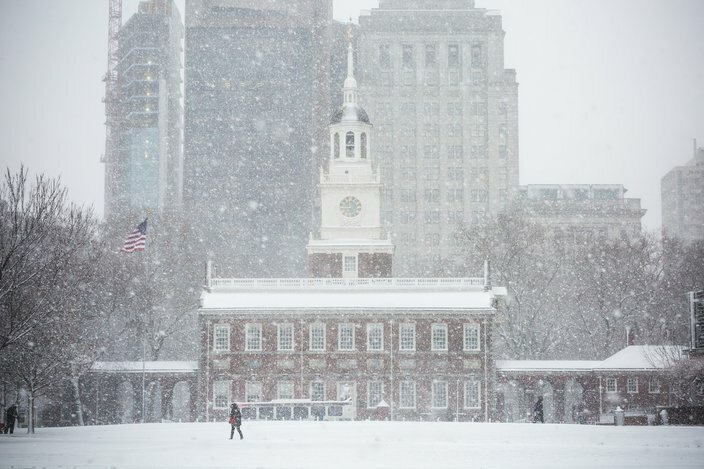 The following is a series of images I made for PhillyVoice over the past year. These were meaningful for me to research and produce, and I can only hope they were insightful to you, our readers. 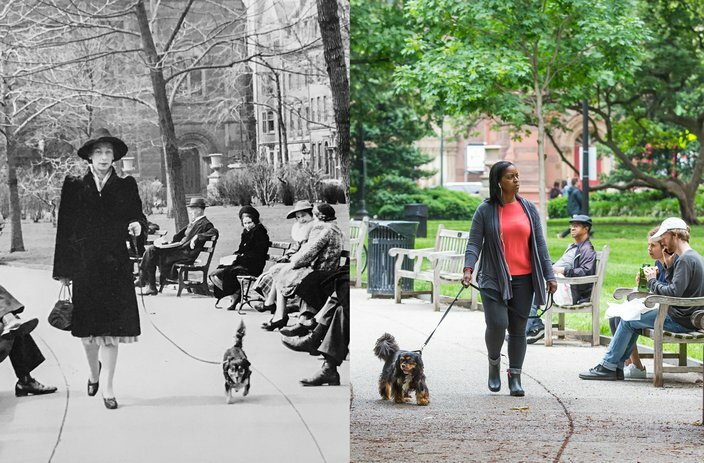 Philadelphia then and now: The intersection of Ninth and Locust streets looking east on Locust, as it appeared in 1917 and 2017. 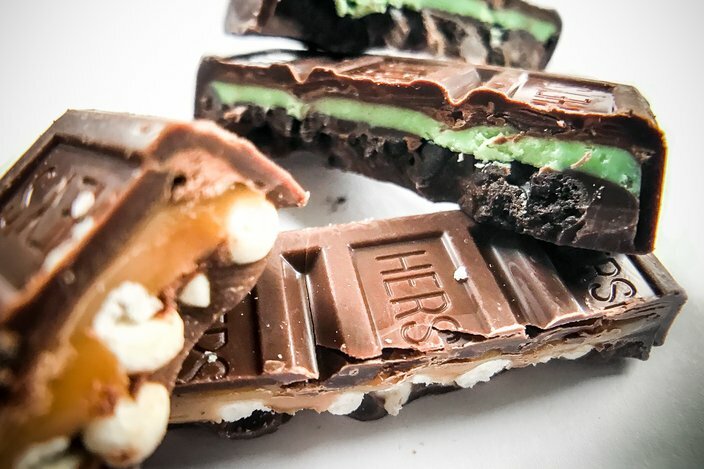 Mint and Caramel Cookie Layer Crunch Bars from Hershey's were one of dozens of junk foods photographed for the “Bad For You” column. 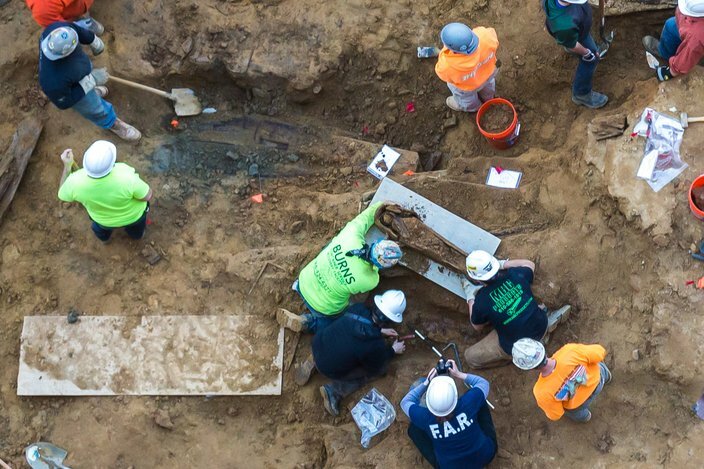 About 30 coffins from the mid-1700's were unearthed at a construction site at the former location of the First Baptist Church Burial Ground on Arch Street in Old City. 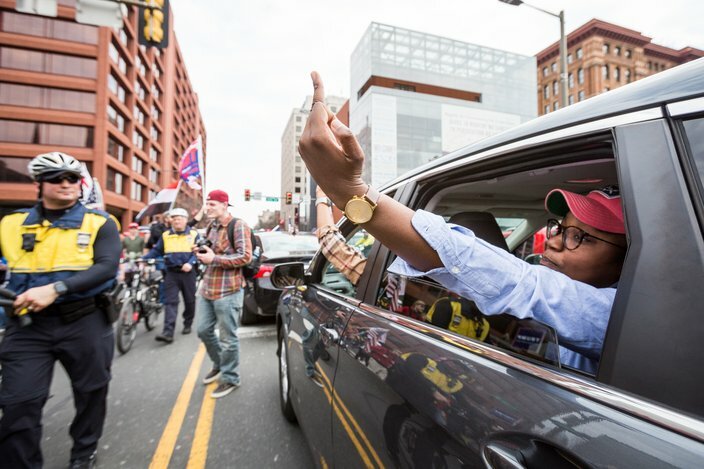 As supporters of President Trump pass motorists on Market Street near Independence Mall, a passenger reacts to the crowd during the Make America Great Again Rally, Saturday, March 25, 2017. 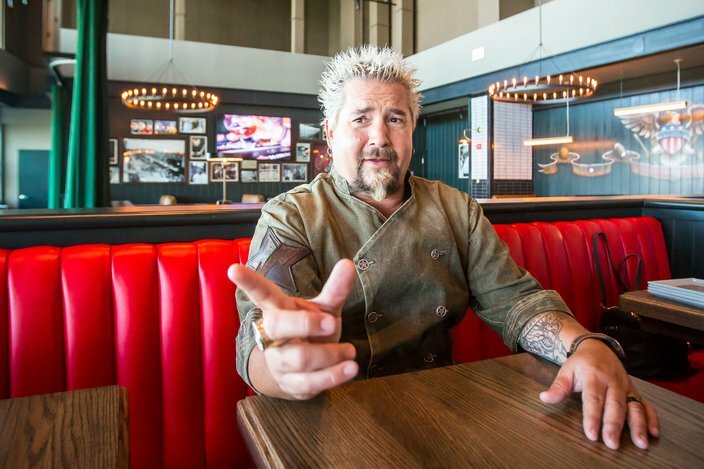 Restauranteur and television personality, Guy Fieri chats with PhillyVoice about the opening of his new restaurant at Harrah's Casino in Chester, PA.
Angela Tillar, right, walks her dog Higgins in Rittenhouse Square near Walnut Street near the same location as the woman in the photograph from March 18, 1941. 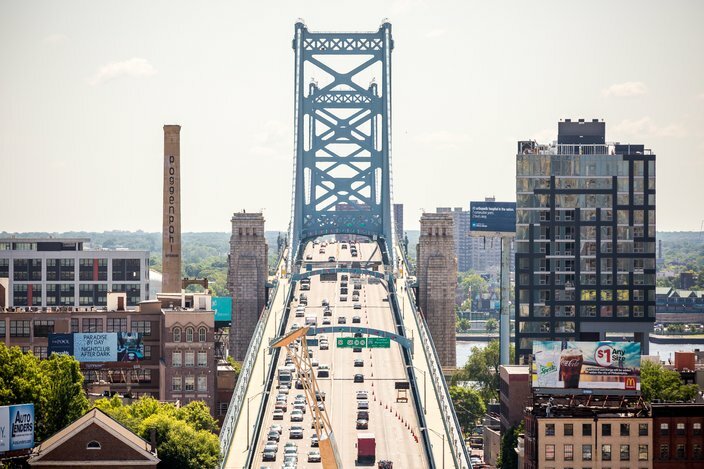 The Benjamin Franklin Bridge and Old City Philadelphia in mid-summer. 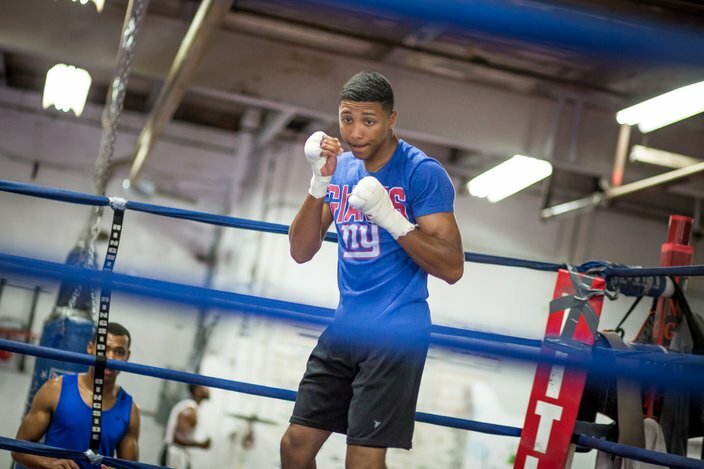 Camden County police officer and featherweight boxer, Vidal Rivera, trains at the Camden County Boxing Academy before a match in Atlantic City on Aug. 5, 2017. 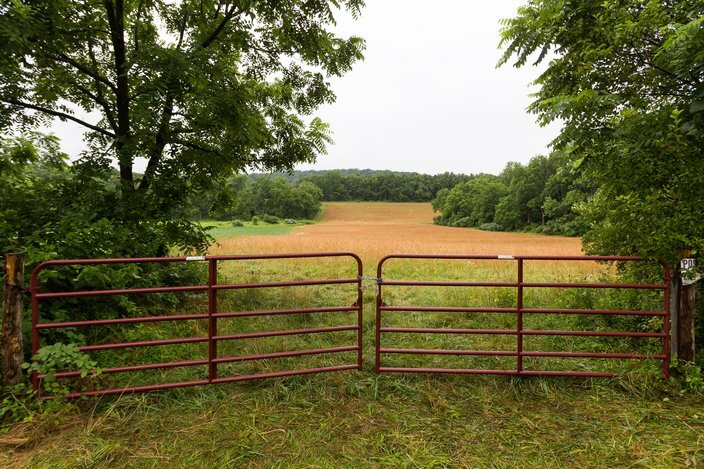 An auxiliary entrance to the 80-acre DiNardo family farm in Solebury Township. Investigators discovered the remains of victims in a quadruple murder on the farm, Friday, July 14, 2017. Ghostly Circus co-organizer, Lauren Raske, right, and Laura Rennegade rehearse their performance moments before the start of the show. 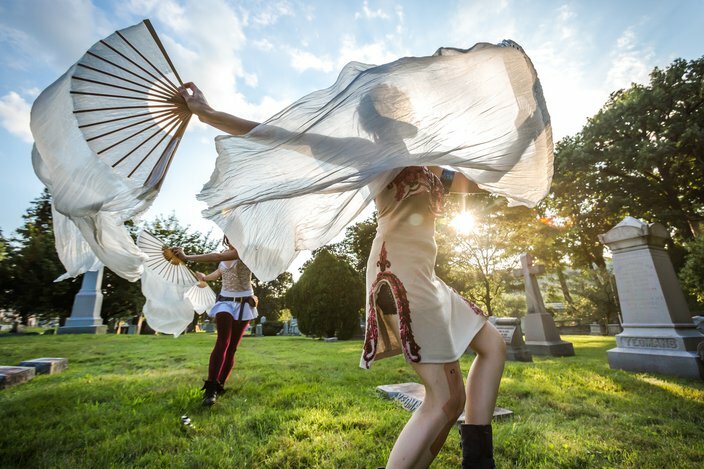 The Ghostly Circus is an annual event held on the grounds of Laurel Hill Cemetery. 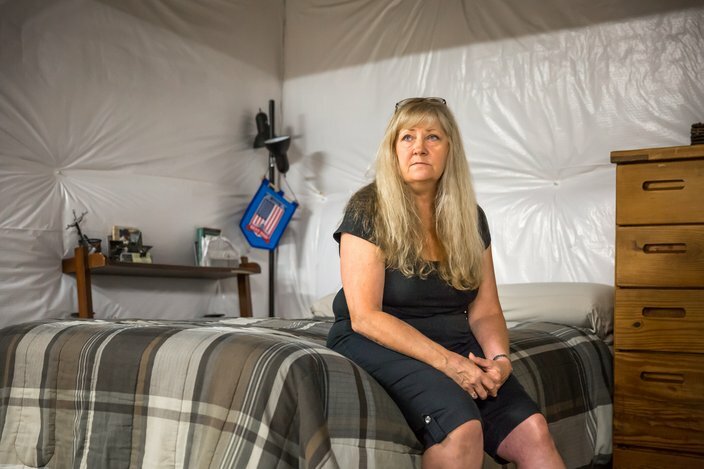 Rose Young sits on her son Stephen's bed in the basement of her Maple Shade home. Stephen, 33, became addicted to opioids prescribed for pain from several car accidents and Hodgkin's lymphoma cancer, diagnosed as a teen. He was recently sent back to jail for violating conditions of a supervised release. 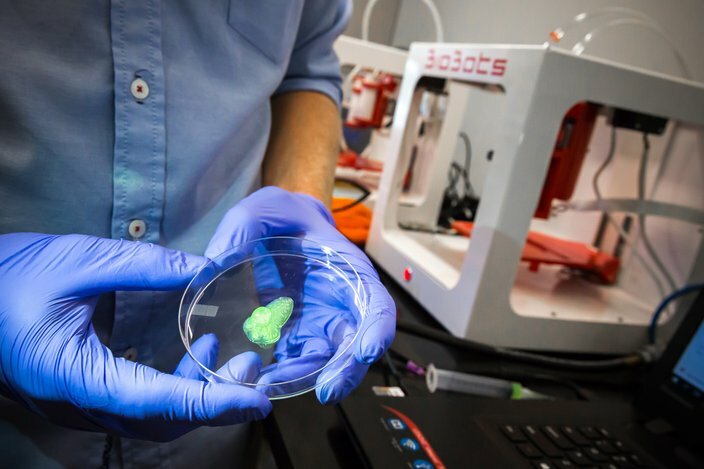 Jakub Lewicki, a bioengineer intern at BioBots, a biotechnology company based at the Pennovation Center, holds a 3-D bioprinted model of a human nose. 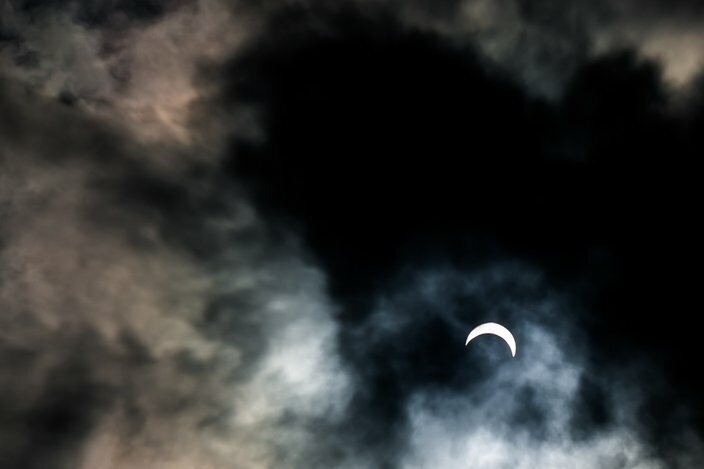 The 2017 solar eclipse as viewed from Bellmawr, NJ at 2:43PM, Monday, Aug. 21, 2017. The O.V. 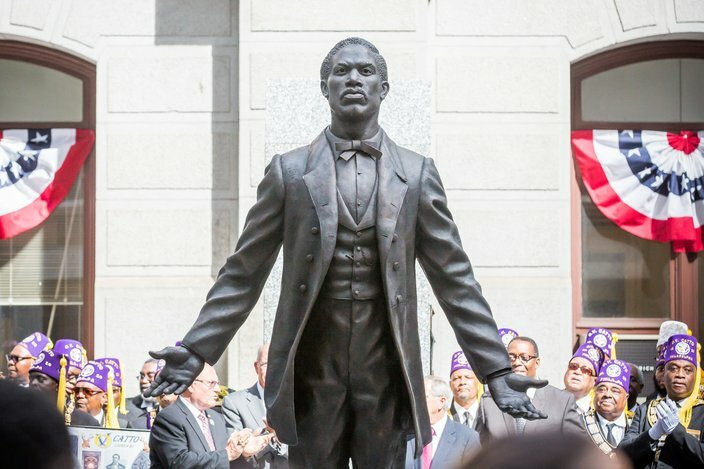 Catto Memorial, shown here at the unveiling ceremony on Sept. 26, is the first statue on Philadelphia public land of an African American. Regina (Gun$ Garcia) Dyhouse poses for a photo in Northern Liberties in Philadelphia. 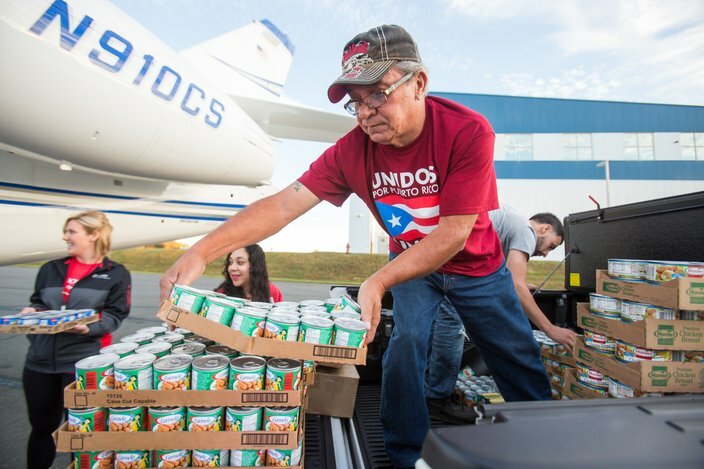 Camden County resident, Frank Rivera, was one of a handful of volunteers to load cans of food onto a plane bound for Puerto Rico, Tuesday, Oct. 10, 2017. 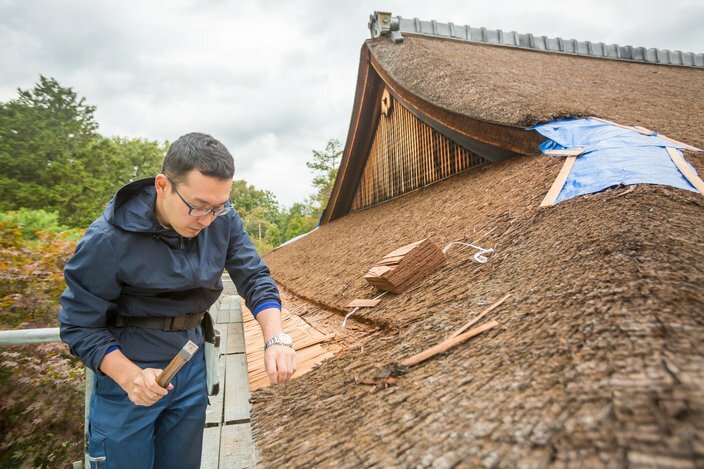 Norihiro Kawada is one of two Japanese artisans from the Tanigami Roofing Co. that have come to Philadelphia to make repairs on the roof of the Shofuso Japanese House and Tea Garden in Fairmount Park. Only 100 people in the world are skilled to build or repair traditional Hinoki roofs. 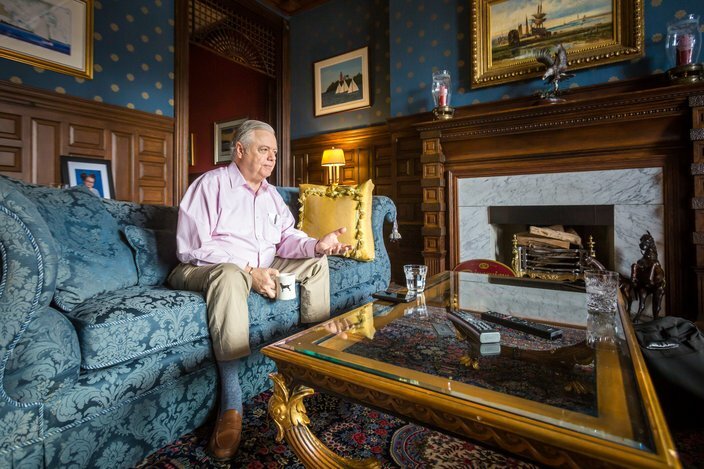 Former state senator Vince Fumo during a recent interview with PhillyVoice at his Spring Garden home.